I am dedicated to providing all of your real estate needs from helping you sell your home to providing FREE buyer agent services. I am committed to providing my clients with comprehensive marketing and technology services in helping them make one of the biggest financial decisions of their life. 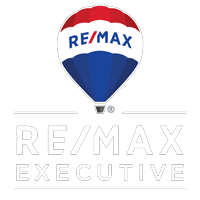 If you are looking for your dream home, considering selling your current residence, or even if you just have a real estate related question, please contact me. It would be a pleasure to serve you. As a Realtor, I strive to make each client feel as if they are my only client. I realize that peoples’ lives do not stop during a home search, so I am also available after normal business hours or on weekends. I am dedicated to negotiating the best deal for my clients throughout the entire process. I have helped many types of buyers, from investors to first-time home buyers, and I look forward to assisting you in your real estate search.